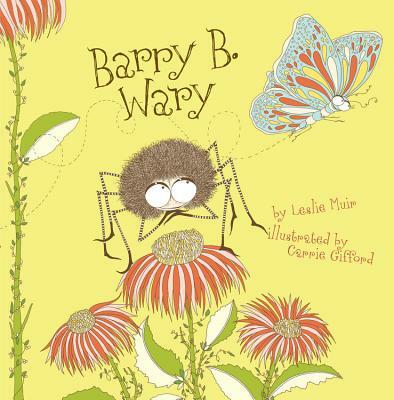 Barry B. the spider likes eating bugs. Crispy click beetles! Mayflies in June! A firefly souffl by the light of the moon! But his buggy snacks mean that Barry B. doesn't have too many friends. So when he falls for a beautiful butterfly passing by, Barry B. is determined to prove his love to her. Will he be able to change his bug-eating ways to woo her? Impeccable verse, unique and beautiful illustrations and a sly sense of humor will make this a hit with adults and children alike. Leslie Muir is a writer, painter and poet. She is also a very adventuresome amateur chef (though she has never knowingly cooked a bug). Leslie lives in Atlanta, Georgia with her computer geek husband, two high-spirited sons, and a large German Shepherd who likes to eat flies. This is her first book for children. Carrie Gifford spent many years teaching children's theater before founding her Greeting Card company, Red Cap Cards, with her husband Hal Mertz. This is Carrie's first book with Disney-Hyperion. She lives in Los Angeles, California.